Magnesium serves a range of critical roles in the body and I feel that magnesium is one of the key minerals to keep in balance in the body. Magnesium helps to balance glutamate, aids in muscle flexibility, helps with constipation and menstrual cramps, is a calming herb, helps to balance calcium and can help increase melatonin release. Excess calcium works with glutamate in the system to over excite nerves to death; the use of magnesium to balance that calcium can be very helpful. Under conditions of stress, magnesium may be replaced by calcium if insufficient magnesium is present, causing tightness in muscles. When I have given talks about the “Stress Response” I have gone into detail to explain the relationship between calcium and magnesium leading to muscle fatigue and muscle tension when the ‘flight or fight’ response is evoked during stress. Recall that your body cannot really tell the difference between emotional stress or physical stress, both can lead to muscle pain, lack of sleep and memory problems amongst other issues. Remember that calcium and magnesium compete with each other for transport into the body, another reason to be sure you have more magnesium in your supplement regime than calcium. Because it is such a critical mineral I like to have a range of supports containing magnesium as options to consider including, magnesium citrate, magnesium chloride, magnesium krebs, magnesium malate, magnesium oxide, magnesium sulfate and Tri-mag. Each of these types of magnesium offer unique advantages and a combination of several forms of magnesium support can be considered based on the properties of each form of magnesium. Magnesium citrate is one of the most bioavailable forms of magnesium. Citric acid which is the compound magnesium is bound to, may be useful in the system in terms of the Krebs energy cycle as well as aiding in transport of nutrients into the system. Some studies indicate that citric acid may help compounds to cross the blood brain barrier. Magnesium serves a range of critical roles in the body and I feel magnesium is one of the key minerals to keep in balance. Magnesium helps to balance glutamate, aids in muscle flexibility, helps with constipation and menstrual cramps, is a calming herb, helps to balance calcium and can help increase melatonin release. Excess calcium works with glutamate in the system to over excite nerves to death; the use of magnesium to balance that calcium can be very helpful. Under conditions of stress, magnesium may be replaced by calcium if insufficient magnesium is present, causing tightness in muscles. Remember that calcium and magnesium compete with each other for transport into the body, another reason to be sure you have more magnesium in your supplement regime than calcium. Because it is such a critical mineral I like to have a range of supports containing magnesium as options to consider including, magnesium citrate, magnesium chloride, magnesium krebs, magnesium malate, magnesium oxide, magnesium sulfate and Tri-mag. Each of these types of magnesium offer unique advantages and a combination of several forms of magnesium support can be considered based on the properties of each form of magnesium. Magnesium chloride has the highest bioavailability of magnesium supports when used in a liquid format as it dissolves so easily in water. These liquid drops are an easy way to administer magnesium for those who cannot swallow pills. If sodium levels are not in balance, this may not be the ideal form of magnesium to use as sodium and chloride are in a balance with respect to transport. Magnesium serves a range of critical roles in the body and I feel that magnesium is one of the key minerals to keep in balance. Magnesium helps to balance glutamate, aids in muscle flexibility, helps with constipation and menstrual cramps, is a calming herb, helps to balance calcium and can help increase melatonin release. Excess calcium works with glutamate in the system to over excite nerves to death; the use of magnesium to balance that calcium can be very helpful. Under conditions of stress, magnesium may be replaced by calcium if insufficient magnesium is present, causing tightness in muscles. Remember that calcium and magnesium compete with each other for transport into the body, another reason to be sure you have more magnesium in your supplement regime than calcium. Because it is such a critical mineral I like to have a range of supports containing magnesium as options to consider including, magnesium citrate, magnesium chloride, magnesium krebs, magnesium malate, magnesium oxide, magnesium sulfate and Tri-mag. Each of these types of magnesium offer unique advantages and a combination of several forms of magnesium support can be considered based on the properties of each form of magnesium. I prefer that magnesium is higher than calcium in the system and that potassium is higher than sodium in the system. These levels can be assessed by looking at HE tests as well as UTEE tests. When extra magnesium or potassium is needed this Krebs Magnesium/Potassium can be considered as a source of support. This is especially useful when the Krebs cycle (otherwise known as Citric Acid cycle) intermediates are too low on a MAP test or an Organix test. When the body has a particularly high burden of thallium or aluminum those metals can negatively affect the Krebs cycle and that may be another circumstance where Krebs minerals such as Krebs Magnesium/Potassium or Krebs Zinc should be considered for support. Magnesium serves a range of critical roles in the body and I feel that magnesium is one of the key minerals to keep in balance. Magnesium helps to balance glutamate, aids in muscle flexibility, helps with constipation and menstrual cramps, is a calming herb, helps to balance calcium and can help increase melatonin release. Excess calcium works with glutamate in the system to over excite nerves to death; the use of magnesium to balance that calcium can be very helpful. Under conditions of stress, magnesium may be replaced by calcium if insufficient magnesium is present, causing tightness in muscles. Remember that calcium and magnesium compete with each other for transport into the body, another reason to be sure you have more magnesium in your supplement regime than calcium. Because it is such a critical mineral I like to have a range of supports containing magnesium as options to consider including, magnesium citrate, magnesium chloride, magnesium krebs, magnesium malate, magnesium oxide, magnesium sulfate and Tri-mag. Each of these types of magnesium offer unique advantages and a combination of several forms of magnesium support can be considered based on the properties of each form of magnesium. This magnesium supplement is particularly useful when sore muscles are an issue, for CFS or FM or when malic acid is low on a MAP or Organix test. Magnesium malate may also be a choice for athletes as it may help to clear lactic acid from muscles and prevent the build up of lactic acid that is associated with muscle pain. Magnesium serves a range of critical roles in the body and I feel that magnesium is one of the key minerals to keep in balance. Magnesium helps to balance glutamate, aids in muscle flexibility, helps with constipation and menstrual cramps, is a calming herb, helps to balance calcium and can help increase melatonin release. Excess calcium works with glutamate in the system to over excite nerves to death; the use of magnesium to balance that calcium can be very helpful. Under conditions of stress, magnesium may be replaced by calcium if insufficient magnesium is present, causing tightness in muscles. Remember that calcium and magnesium compete with each other for transport into the body, another reason to be sure you have more magnesium in your supplement regime than calcium. Because it is such a critical mineral I like to have a range of supports containing magnesium as options to consider including, magnesium citrate, magnesium chloride, magnesium krebs, magnesium malate, magnesium oxide, magnesium sulfate and Tri-mag. Each of these types of magnesium offer unique advantages and a combination of several forms of magnesium support can be considered based on the properties of each form of magnesium. Mag O7 is a source of magnesium oxide. While magnesium oxide has low bioavailability it is derived from ozonated magnesium and that oxygen may be useful in helping with certain types of non-ideal bacteria in the system. Also this may be a source of additional oxygen in the system, which can be a positive for tissues in need of oxygen. Those who suffer from fatigue may want to consider Mag O7. However, while excess oxygen can have positive impacts it can also create a need for antioxidant support. (The use of Ultifend, or at the very least NADH is something I would recommend if you are solely using Mag O7 as your source of magnesium.) Magnesium serves a range of critical roles in the body and I feel that magnesium is one of the key minerals to keep in balance. Magnesium helps to balance glutamate, aids in muscle flexibility, helps with constipation and menstrual cramps, is a calming herb, helps to balance calcium and can help increase melatonin release. Excess calcium works with glutamate in the system to over excite nerves to death; the use of magnesium to balance that calcium can be very helpful. Under conditions of stress, magnesium may be replaced by calcium if insufficient magnesium is present, causing tightness in muscles. Remember that calcium and magnesium compete with each other for transport into the body, another reason to be sure you have more magnesium in your supplement regime than calcium. Because it is such a critical mineral I like to have a range of supports containing magnesium as options to consider including, magnesium citrate, magnesium chloride, magnesium krebs, magnesium malate, magnesium oxide, magnesium sulfate and Tri-mag. Each of these types of magnesium offer unique advantages and a combination of several forms of magnesium support can be considered based on the properties of each form of magnesium. This is a topical cream for supporting magnesium for those who cannot swallow pills. Magnesium sulfate may be a help for sore muscles and for those who are low in sulfur on tests. This is NOT an ideal form of magnesium for those who have higher than ideal sulfur levels on a HE test or UTEE or who are low in B12 or molybdenum as these nutrients play a role in sulfur processing. In addition if taurine is high on a UAA, or you are SUOX + or have one a more significant CBS SNP status (CBS 212+ or CBS C699T++) then this is NOT a source of magnesium that I would suggest, nor would I suggest the use of any sulfur containing supports in general for those individuals. Magnesium serves a range of critical roles in the body and I feel that magnesium is one of the key minerals to keep in balance. Magnesium helps to balance glutamate, aids in muscle flexibility, helps with constipation and menstrual cramps, is a calming herb, helps to balance calcium and can help increase melatonin release. Excess calcium works with glutamate in the system to over excite nerves to death; the use of magnesium to balance that calcium can be very helpful. Under conditions of stress, magnesium may be replaced by calcium if insufficient magnesium is present, causing tightness in muscles. Remember that calcium and magnesium compete with each other for transport into the body, another reason to be sure you have more magnesium in your supplement regime than calcium. Because it is such a critical mineral I like to have a range of supports containing magnesium as options to consider including, magnesium citrate, magnesium chloride, magnesium krebs, magnesium malate, magnesium oxide, magnesium sulfate and Tri-mag. Each of these types of magnesium offer unique advantages and a combination of several forms of magnesium support can be considered based on the properties of each form of magnesium. Malic acid has been reported to be particularly helpful for sore muscles as well as those with CFS and FM. Malic acid can be added as a standalone capsule, it is also a component of MitoForce as well as the Muscle Fatigue capsules. Malate/malic acid is a part of the Krebs energy cycle (otherwise known as the Citric Acid cycle) in mitochondria and the levels of malate/malic acid can be seen on a MAP test or an Organix test. Malic acid can also be added in the form of magnesium malate as well as by eating apples. Malic acid can also be a help in moving aluminum out of the system. Malic acid has been reported to aid in reducing lactic acid levels in muscles, which can be a help for those with CFS, FM as well as athletes. Manganese is important for helping to process arginine in the system as well as a number of other key functions in the body, such as limiting the breakdown of serotonin. The goal is to have manganese in a LOW normal range on a HE test as levels that are too high can be a problem. Excessively high manganese has been associated with psychosis and may affect the ability to use GABA. For these reasons I only like very low dose manganese support, again until levels are in the low end of normal range. In addition to the use of manganese drops, the supplement Glucosamine Chondroitin Plus is also a source of low dose manganese. Glucosamine Chondroitin Plus may be a help for the gut as well as joints, but is not an ideal choice for those with high levels of sulfur in the system. In those cases low dose manganese drops would be the preferred form of support. Quercetin 500 capsules are also a low dose source of manganese support. Quercetin 500 would be a choice for low dose manganese support if there is also a strong need for antioxidants, or if uranium excretion is high on toxic metal tests. Quercetin is an antioxidant but is not well tolerated by those who are COMT ++, so this is not an ideal option for individuals with a COMT ++ status. If manganese levels are very high on a HMT consider a Home water test to be sure there are not excessively high levels of manganese in the home water system. Again, high levels of manganese can be toxic and cause symptoms of psychosis. 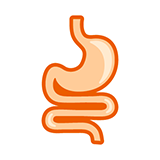 Mastica gum is useful in addressing the gut when H.pylori or E.coli are issues creating problems with the gut. Mastica gum is part of the supplement PeptiMycin that can be used in a number of microbial imbalances including the presence of H.pylori or Clostridia as well as E.coli. For those who are not yet ready to add the complete combination of herbs and supplements found in PeptiMycin then simply the use of mastica gum is a good starting point to work on helping to support the gut. When I see CSA tests showing positive for blood in the stool, the use of mastica gum along with vitamin K has made a positive difference, along with Bowel Nucleotide blend, but as ALWAYS you should defer to your own doctor, especially in cases of blood in the stool. Melatonin is needed for sleep. Melatonin lozenges help to give more immediate relief, so these would be an option to choose if falling asleep is the problem but staying asleep is not an issue once you have fallen to sleep. The use of SAMe (along with Ultimate B Complex) during the day and then melatonin at night can be a help for those having trouble sleeping without additional supports. Zinc has been reported to play a role in melatonin levels so the use of zinc during the day, along with SAMe (always take SAMe with a B complex) can make a difference. Melatonin is needed for sleep. Melatonin P.R. is a time release formula of melatonin designed to help those that can fall asleep but have trouble staying asleep. It is also possible to combine a more immediate release melatonin with a time release form of melatonin (defer to your own doctor as always on dosage). For more immediate release melatonin the Melatonin Lozenges or the Melatonin Sleep spray would be options. The use of SAMe (along with Ultimate B Complex) during the day and then melatonin at night can be a help for those having trouble sleeping without additional supports. Zinc has been reported to play a role in melatonin levels so the use of zinc during the day, along with SAMe (always take SAMe with a B complex) can make a difference. Melatonin Sleep spray has a range of calming supports along with melatonin. The advantage of this combination is that it may help promote sleep without having to use higher doses of melatonin. Where melatonin includes methyl groups, higher doses of melatonin can be an issue for those who do not tolerate methyl donors. In those cases the Melatonin Sleep spray may be a better choice as it includes melatonin as well as other ingredients to promote sleep without adding extra methyl donors. As always defer to your doctor on dosing. Melissa (otherwise known as Lemon Balm) is a calming herb that has been reported to be useful in children. In addition to its calming properties there is literature to support its use for fevers. Melissa leaves are part of the combination calming supplement called Relaxation Support as well as Be Calm spray, but can also be used by itself as needed. Melissa can be combined with the use of General and Cytokine Nucleotide Blends to help support more standard methods of dealing with fevers, DEFER to your own doctor as always with any fever issues. This is natural support for the thyroid including tyrosine as well as thyroid glandular extract and iodine to support healthy thyroid function. This is not meant to replace prescription thyroid medication and any support for the thyroid should be considered in conjunction with your own doctor. If thyroid is a concern, I would also suggest running a Thyroid test and a Urine Iodine test to be sure values are in a normal healthy range. MetalAway is a gentle support for moving metals from the system. To address aluminum it includes horsetail grass, spirulina, malic acid, low dose EDTA as well as biopterin/NADH/liver extract to support natural healthy BH4 levels as BH4 is negatively affected by aluminum. In addition the EDTA in this compound may be a help for excess cadmium and lead. The inclusion of garlic and selenium in this formula may help with gentle mercury excretion. MetalAway is designed to be a supplement that can be taken daily as part of a regular supplement regime to help move the metals we are exposed to on a daily basis out of the system while supporting natural BH4 levels. I use MetalAway as part of my daily supplement regime, treating it more like a daily vitamin rather than as a support for detox. Those who want to push harder on detox with their own doctors can consider the use of DetoxAway for that purpose. MetalAway can be a help with metals as well as supporting the liver for BH4 but should be easy for most to include in their daily supplement routine to help to deal with the toxins we are exposed to everyday. Methionine is a critical part of the methylation cycle. If UAA tests show low methionine as the only amino acid not in normal range then low dose methionine support can be considered. Where methionine sits at a central point of the methylation cycle the goal is to support all aspects of the cycle and not simply supporting methionine. Low dose methionine is part of the compounded supplement called AminoAssist and this would be a better choice if a number of amino acids are low. Muscle Fatigue capsules include low dose methionine and if muscle fatigue is an issue then the use of Muscle Fatigue capsules would be preferable to just using plain methionine. Low dose methionine can be a help when urine pH is high, especially when used in conjunction with cranberry. While I use low dose plain methionine for my own Newfoundland dogs (as they tend to have problems with muscle weakness as well as high urinary pH and UTIs), this is because dogs cannot handle the range of supports in the Muscle Fatigue capsule so only the use of plain methionine is an option in this case. I only like to use low dose methionine support, such as what is contained in the Muscle Fatigue capsule or Amino Assist. I only suggest sprinkles of methionine if using it directly and checking levels on a UAA to be sure methionine stays in balance with support. Methyl B12 is the ideal form of B12 for those who can tolerate and need more methyl donors, generally those who are COMT –. B12 support is critical for long route methylation cycle function. Based on my research it is highly suggested HE tests be run (or blood work) to be sure lithium is in balance prior to adding high doses of B12. In addition to the role of lithium in B12 transport, it is also important to look at a source of intrinsic factor (i.e. All in One, MitoForce, ACAT/BHMT capsules) and ATP to aid in B12 transport. There are three major types of B12 used for this program: hydroxyl, adenosyl and methyl B12. Hydroxy and Methyl B12 available as megadrops which allows for exquisite control over dosing as well as limiting oxygen exposure that can occur when oral tablets are broken into smaller pieces. Adenosyl B12 is considered for those with mitochondrial issues, athletes, those with signs of ketosis on a MAP test, those with high MMA on a MAP test, those with high valine on a UAA, and those with imbalances in the Krebs/Citric acid energy cycle. Hydroxy B12 is the form suggested for all, regardless of nutrigenomic COMT status and can be gradually increased as tolerated, again carefully watching lithium levels on tests and also supporting with a source of ATP and intrinsic factor. MethylB12 is ideal for those who can tolerate more methyl donors and can be gradually increased as with the hydroxyl form of B12. Cyano B12 is NOT the preferred source of B12, however it is the form of B12 found most often in more unique sources of B12 such as patches and chewing gum. While not the preferred form of B12, the convenience of using patches or gum is a reason to consider these more unique source of B12. I always suggest adding some hydroxyl B12 support when any source of cyano B12 is used, as the hydroxyl B12 helps to remove cyanide from the system and ‘cyano’ B12 means cyanide complexed with B12. Many less expensive general vitamins or sources of B complex use cyanoB12 to save on cost; remember that All in One and Ultimate B Complex do NOT contain cyanoB12. B12 can be degraded in the stomach so it may be destroyed when it is swallowed. Oral dosing with the megadrops can bypass this problem. In addition the B12 oral sprays (Get B12 and Black Bear Energy) and oral lozenges that melt in the mouth may bypass breakdown in the gut. Also, the B12 gum and B12 patches can allow for B12 support in a manner that limits destruction in the gut (again, I would use a low dose source of hydroxyl B12 along with patches or gum). B12 is great for energy and to fight fatigue. B12 has been found to help with motion sickness and to calm nervousness and may help with OCD. There are reports to suggest that B12 helps to regenerate nerves. The main advantage of Methyl B12 lozenges as compared to the use of Methyl B12 liquid drops is the convenience of a lozenge. Lozenges are easy to keep in your purse or your pocket and pop in your mouth during the day. On the other hand, the drops allow for more precise dosage control, so it is easier to slowly increase the dosage of methylB12 using the drops rather than lozenges. Methyl B12 is the ideal form of B12 for those who can tolerate and need more methyl donors, generally those who are COMT –. B12 support is critical for long route methylation cycle function. Based on my research it is highly suggested HE tests be run (or blood work) to be sure lithium is in balance prior to adding high doses of B12. In addition to the role of lithium in B12 transport, it is also important to look at a source of intrinsic factor (i.e. All in One, MitoForce, ACAT/BHMT capsules) and ATP to aid in B12 transport. There are three major types of B12 used for this program: hydroxyl, adenosyl and methyl B12. Hydroxy and Methyl B12 available as megadrops which allows for exquisite control over dosing as well as limiting oxygen exposure that can occur when oral tablets are broken into smaller pieces. Adenosyl B12 is considered for those with mitochondrial issues, athletes, those with signs of ketosis on a MAP test, those with high MMA on a MAP test, those with high valine on a UAA, and those with imbalances in the Krebs/Citric acid energy cycle. Hydroxy B12 is the form suggested for all, regardless of nutrigenomic COMT status and can be gradually increased as tolerated, again carefully watching lithium levels on tests and also supporting with a source of ATP and intrinsic factor. MethylB12 is ideal for those who can tolerate more methyl donors and can be gradually increased as with the hydroxyl form of B12. Cyano B12 is NOT the preferred source of B12, however it is the form of B12 found most often in more unique sources of B12 such as patches and chewing gum.While not the preferred form of B12, the convenience of using patches or gum is a reason to consider these more unique source of B12. I always suggest adding some hydroxyl B12 support when any source of cyano B12 is used, as the hydroxyl B12 helps to remove cyanide from the system and ‘cyano’ B12 means cyanide complexed with B12. Many less expensive general vitamins or sources of B complex use cyanoB12 to save on cost; remember that All in One and Ultimate B Complex do NOT contain cyanoB12. B12 can be degraded in the stomach so it may be destroyed when it is swallowed. Oral dosing with the megadrops can bypass this problem. In addition the B12 oral sprays (Get B12 and Black Bear Energy) and oral lozenges that melt in the mouth may bypass breakdown in the gut. Also, the B12 gum and B12 patches can allow for B12 support in a manner that limits destruction in the gut (again, I would use a low dose source of hydroxyl B12 along with patches or gum). B12 is great for energy and to fight fatigue. B12 has been found to help with motion sickness and to calm nervousness and may help with OCD. There are reports to suggest that B12 helps to regenerate nerves. Methyl MAX is a source of almost a dozen methyl donors for those who need more methyl donor support. In general these are individuals who are COMT – and Taq ++. However, as we age, we are often low on methyl donors, those with Parkinson’s or those with low dopamine as they age may want to consider Methyl MAX to help support methyl donors as well as natural healthy dopamine levels. Previously called MethylMate A, this compound called Folinic Plus is a source of ALL of the ingredients to support the long route around the methylation cycle with the exception of 5 methyl THF. The idea is to first support the short cut and have low level complete methylation support with All in One. Then once you have ascertained that lithium is in balance on a HE test, it is time to add more long route support. Folinic Plus includes nucleotides, low dose SAMe, PS/PE/PC, low dose folinic, intrinsic factor to help with B12 transport as well as including hydroxyl and adenosyl B12 and the ingredients to help support natural production of BH4. Again, basically everything you need to support the methylation cycle other than 5 methyl THF. The addition of 5 methyl THF is achieved as a SEPARATE item so that you have control over its dose and when to add it, as that can be the piece that triggers detox in a number of individuals especially those who are C677T ++. That is why Methyl Folate 5 MTHF liquid drops (5 methyl THF drops previously called MethylMate B) are added separately from the rest of the methylation cycle supports. Previously called MethylMate B, these drops are a source of 5 methyl THF which is the form of folate needed to bypass MTHFR SNPs and to support the methylation cycle. While All in One has very low dose 5 methyl THF (just enough to be sure the cycle is not depleted of critical components) the use of 5 methyl THF drops is designed to allow for exquisite control over dosing of this critical compound. Where the use of 5 methyl THF is often the piece that triggers detox reactions in individuals it is important that you have control over dosing so that it can slowly be increased as tolerated to achieve optimal levels. Because 5 methyl THF is oxygen sensitive, breaking tablets containing 5 methyl THF into pieces is not an ideal way to handle lower doses. For this reason, the drops give incredible control over the ability to start with low doses of 5 methyl THF and then gradually increase as needed. The idea in terms of supporting the methylation cycle is to first support the short cut and have low level complete methylation support with All in One. Then once you have ascertained that lithium is in balance on a HE test, it is time to add more long route support. Folinic Plus includes nucleotides, low dose SAMe, PS/PE/PC, low dose folinic, intrinsic factor to help with B12 transport as well as including hydroxyl and adenosyl B12 and the ingredients to help support natural production of BH4. Again, basically everything you need to support the methylation cycle other than 5 methyl THF. The addition of 5 methyl THF is achieved as a separate item so that you have control over its dose and when to add it, as that can be the piece that triggers detox in a number of individuals especially those who are C677T ++. That is why Methyl Folate 5 MTHF liquid drops (5 methyl THF drops previously called MethylMate B) are added separately from the rest of the methylation cycle supports. Milk thistle is wonderful support for the liver. I prefer to use the entire herb, rather than to use isolated silymarin from milk thistle as the complete herb contains other ingredients that are not present in the isolated extracts. The MTHFR A1298C Liver capsule also contains milk thistle along with a range of other ingredients for liver support including liver extract, dandelion root, biopterin and NADH with liver extract to help support natural healthy BH4 production in the body. My preference is to use MTHFR Liver caps rather than simply Milk Thistle due to the other components in the MTHFR liver caps. However, if what you are looking for is the single component, then Milk Thistle capsules are the option to choose. Milk thistle is reported to help protect against some of the most toxic substances including the death cap mushroom and to also help to heal the liver from viral injury such as from strains of Hepatitis. In addition, the silymarin in milk thistle may help protect liver cells during chemotherapy. The use of Liver Glandular Extract and Liver Nucleotide Blend can also be considered for additional liver support. Mitochondria are the key energy producing organelles in cells. A range of toxins negatively affect mitochondrial energy and impair the ability to produce energy for the system. A number of individuals have Mitochondrial Dysfunction and problems with energy and fine and gross motor control related to that issue. MitoForce includes ingredients to help support multiple steps in the mitochondrial energy pathway, everything from B vitamins that act to help move energy from food into the Krebs (Citric Acid) cycle to carnitine, NADH, Riboflavin 5’-Phosphate, GSH and lactoferrin and ATP to help the energy cycle to function. In some cases additional ATP, NADH or Riboflavin 5’-Phosphate may be desired, however all of the ingredients that are generally needed to support mitochondria as judged by a MAP or Organix test are all included in this one capsule. I feel very strongly that this is a supplement that should be considered as a staple and part of virtually all supplement regimes, to at least lay the groundwork for supporting the mitochondria. Simply based on the exposure we all have to metals each day, and the understanding that metals can impair the mitochondrial energy cycle is enough of a reason to include this in your daily regime. Remember that microbes can hold onto metals and metals impair mitochondria. The Metals, Microbes and Mitochondria talk goes into more detail to explain how critical addressing this combination is to overall health. Moducare is a unique plant extract that is designed to help support the immune system, to aid in the TH1 to TH2 balance and may be particularly helpful when chronic virus is a concern. Aside from Elderberry and particular IMF this is one of the few supplements that may be a support for viral issues. However, because Moducare extracts may act in the fat phase in the system I prefer the use of only low dose Moducare especially for those with NOS SNPs. Additional more general immune support can be gained by the use of T cell + B cell caps, Intact Multigland and Stress nucleotide blend. These molybdenum capsules are a source of molybdenum that is complexed with Krebs (energy cycle) intermediates. So these caps serve as a source of both molybdenum as well as to support energy and would be a choice especially if a MAP test shows a need for more energy support. I prefer the use of molybdenum capsules or the MTR/MTRR/SUOX capsule (which includes molybdenum) to support molybdenum in the body, rather than the use of molybdenum liquid drops. For those who cannot swallow pills and have no other option then the molybdenum liquid drops can be utilized. The drops are not a favorite as they are complexed with ammonia. This is why these drops are not my first choice for support and should be used only by those who actually show low ammonia on UAA tests or those who cannot add molybdenum in a capsule form. Molybdenum is a critical mineral that participates in a range of reactions in the body. Several very key reactions that require molybdenum include the enzyme sulfite oxidase that helps to process toxic sulfur groups in the body. Those who are sulfite sensitive want to be sure that molybdenum and B12 are in a normal healthy range in the body. When taurine levels are too high on a UAA or NC this puts more pressure on the enzyme sulfite oxidase which then may need more molybdenum and B12 to process the sulfur groups generated from this excess level of taurine. In addition molybdenum helps to detoxify acetaldehyde which can be produced from Candida infection in the body. Yeast infections can be noted by running a CSA, GPPP or Vaginosis test. Molybdenum also works with another enzyme to generate uric acid in a healthy manner. Finally molybdenum cofactors are part of the pathway to BH4 production. Molybdenum may help to balance copper levels that have climbed too high, this is important as excess copper can play a negative role in attention. Those adults who drink wine, beer or high levels of other alcoholic beverages should consider extra molybdenum and B12 (or Black Bear which includes both) to help process the alcohol and sulfites in these drinks. It is very important in my opinion to keep molybdenum in a higher normal healthy range; it is a key mineral to monitor in my view. I prefer the use of molybdenum capsules or the MTR/MTRR/SUOX capsule (which includes molybdenum) to support molybdenum in the body, rather than the use of molybdenum liquid drops. For those who cannot swallow pills and have no other option then the molybdenum liquid drops can be utilized. The drops are not a favorite as they are complexed with ammonia. This is why these drops are not my first choice for support and should be used only by those who actually show low ammonia on UAA tests or those who cannot add molybdenum in a capsule form. Molybdenum is a critical mineral that participates in a range of reactions in the body. Several very key reactions that require molybdenum include the enzyme sulfite oxidase that helps to process toxic sulfur groups in the body. Those who are sulfite sensitive want to be sure that molybdenum and B12 are in a normal healthy range in the body. When taurine levels are too high on a UAA or NC this puts more pressure on the enzyme sulfite oxidase which then may need more molybdenum and B12 to process the sulfur groups generated from this excess level of taurine. In addition molybdenum helps to detoxify acetaldehyde which can be produced from Candida infection in the body. Yeast infections can be noted by running a CSA, GPPP or Vaginosis test. Molybdenum also works with another enzyme to generate uric acid in a healthy manner. Finally molybdenum cofactors are part of the pathway to BH4 production. Molybdenum may help to balance copper levels that have climbed too high, this is important as excess copper can play a negative role in attention. Those adults who drink wine, beer or high levels of other alcoholic beverages should consider extra molybdenum and B12 (or Black Bear which includes both) to help process the alcohol and sulfites in these drinks. It is very important in my opinion to keep molybdenum in a higher normal healthy range; it is a key mineral to monitor in my view. Monolaurin is an extract from coconut that is designed to help support the immune system, and may be particularly helpful when chronic virus is a concern. Aside from Elderberry, Moducare and particular IMF’s, this is one of the few supplements that may be a support for viral issues. However, because these extracts may act in the fat phase in the system I prefer the use of only low dose Monolaurin or Moducare especially for those with NOS SNPs. Additional more general immune support can be gained by the use of T cell + B cell caps, Intact Multigland and Stress nucleotide blend. The liver is a key organ in the body that serves multiple critical functions. It helps to detoxify chemicals in the body, it aids in the production of blood components, it helps with bile levels to process fats and it contains higher levels of the compound called BH4. BH4 (otherwise known as tetrahydrobiopterin) is critical for the synthesis of dopamine, serotonin, epinephrine, norepinephrine and for nitric oxide function. In other words, to feel good, to want to be productive, to process arginine to nitric oxide (and its impact on the heart) and for attention and stress issues you need adequate BH4. Unfortunately BH4 levels can be seriously reduced by metals in the body, especially aluminum. In addition, certain SNPs tend to allow for lower BH4 levels, including MTHFR A1298C. In addition those with high levels of aluminum and other metals, those with attention issues, those with super high levels of tyrosine, tryptophan, arginine in the absence of adequate neurotransmitters may all benefit from supporting natural BH4 levels. Lack of BH4 has also been tied to neurological pain, and reduced levels of BH4 are found in models of fibromyalgia. In my personal opinion, this basically includes all of us! I feel that the use of this MTHFR Liver Support capsule is something that should be a part of everyones daily supplement program. My entire family does take it daily and I alternate its use with that of Metal Away (as that also includes supports for natural BH4). I feel so strongly about supporting natural BH4 levels that I had this capsule specially designed to support natural BH4 levels as well as the liver itself, including ingredients such as milk thistle, liver extract, dandelion root, green tea and broccoli. In addition it includes components to help the liver to produce BH4 (tetrahydrobiopterin) with NADH, niacinamide, liver extract and biopterin. Where BH4 is critical for neurotransmitter production, supporting with components that may help to produce BH4 is particularly useful for those who are MTHFR A1298C +, also for those with higher levels of aluminum, those with mitochondrial issues, those who need liver support as well as those who do not have access to Homeopathic BH4 and those who want to supplement the use of Homeopathic BH4. The MetalAway capsules also have components to support natural healthy BH4 so the combination of MetalAway with A1298C capsules may be particularly useful. As a way to support natural production of BH4, I use these capsules as part of my daily supplement regime, alternating the daily use of MTHFR A1298C capsules with MetalAway as natural approaches to support healthy BH4 production in the body, even though I do not have the A1298C SNP. Where I believe that adult females are at a greater risk for breast cancer due to aluminum, and aluminum impacts mitochondrial energy, my feeling is that naturally supporting healthy BH4 levels is a positive step for long term health. My husband Ed also uses both MetalAway and the MTHFR A1298c Liver caps daily. Ed has a family history that includes a mother who has had several brain tumors (thankfully successfully handled with surgery!). Animal studies have indicated a relationship between phenylalanine in certain artificial sweeteners and tumor growth. Where BH4 is important for processing phenylalanine (a component of Nutrasweet), the use of this supplement is something both Ed and I take including those related to phenylalanine. The A1298C Liver Support capsule contains milk thistle along with a range of other ingredients for liver support. Milk thistle is reported to help protect against some of the most toxic substances including the death cap mushroom and to also help to heal the liver from viral injury such as from strains of Hepatitis. In addition, the silymarin in milk thistle may help protect liver cells during chemotherapy. I have observed that those with MTR and some who have MTRR SNPs tend to be lower in boron, molybdenum and strontium as well as lower in lithium. In addition, those who are MTR + or SUOX + often have issues processing sulfur groups. This compound addresses all of these needs by including low dose B12 with ATP and intrinsic to help with B12 transport. Also it supplies low dose boron, molybdenum and strontium among other ingredients. This supplement does NOT include EXTRA lithium as I believe the dosing on extra lithium for those who are significantly low in this critical mineral should be added as a separate mineral where you can adjust the dosing in conjunction with your own doctor. In addition to the use of BioNativus mineral drops, this capsule is an excellent source of mineral support. It is often difficult to find a mineral capsule that ONLY combines minerals with compounds that are acceptable to my program. This capsule fills that requirement. All of the compounds that are complexed with these minerals are ones that I am comfortable with. These minerals DO NOT include aspartate, glutamate, taurine or amino acid chelates (which are a hidden source of glutamate and aspartate). I personally designed this specialized compound to help address the extensive exercise schedule and training of one of my daughters, who is an athlete. She is a dancer, athlete, yogi and has exercised intensely for years. The Muscle Fatigue caps include ingredients that were chosen, developed and tested in conjunction with her input. The profound flexibility my daughter exhibits and the faster recovery time experienced from these supplements may not only help athletes, but also be a major help for those with CFS, FM, muscle fatigue and joint and flexibility issues. In addition these Muscle Fatigue capsules are my preferred manner to add extra methionine as needed based on UAA tests. In addition to methionine these capsules include a range of ingredients to help with muscle soreness from excess exercise in athletes as well as those with muscle issues due to CFS, FM or excess aluminum in the system. This capsule includes yerbe mate which may help to decrease the buildup of lactic acid and limit pain and soreness in muscles. It also includes magnesium which helps with muscle flexibility, and it includes a natural source of guaiacum to help with muscle fatigue. Athletes or those with CFS may consider this as part of a more complete program to support muscles, tendons and ligaments. I have also seen a number of positives for athletes and those with significant fatigue using low doses of the Muscle nucleotide blend along with the use of Mitoforce. This plant contains L-dopa which is the compound that can be utilized to produce dopamine. For those who are low in dopamine, who are COMT – and may benefit from dopamine, for those with Parkinson’s, this is a consideration. I strongly suggest, that before adding any supports for either dopamine or serotonin that you should work with your own doctor to look at tests for neurotransmitters as well as their breakdown products or precursors. Consider reading Chapter 16 Feel Good Biochemistry on neurotransmitter testing. This combination is an excellent range of ORGANIC mushroom extracts as well as a source of beta glucan all of which help support the immune system. This combination includes a number of mushrooms that may have activity to help with addressing cancer. In addition, the use of T cell + B cell capsules may be useful in conjunction with Mycoceutics for more general immune support. As always defer to your own doctor. Myrrh is part of the antimicrobial herb mix that I have always liked to use. Based on my research on microbial resistance I like to use a range of herbs with antimicrobial activity to help prevent resistance to any one herb. Myrrh is part of the NaturoMycin supplements for this reason but it can be added as a separate herb too. When white blood cells are low on blood work or even just low lymphocytes may be increased with the use of myrrh. NADH is one form of vitamin B3. This form is particularly important for energy in the mitochondrial Krebs/Citric Acid TCA cycle (so consider NADH if you have imbalances on your MAP or an Organix test). NADH is also important as an antioxidant. NADH is also included in the compound that I designed for the mitochondria called MitoForce, but the use of additional NADH is often a help. NADH can be useful for imbalances in norepinephrine/epinephrine ratio as well as for attention issues. I always like to use NADH when using Glutathione (GSH) to support the use of the reduced form of glutathione and to attempt to minimize the oxidation of any added GSH. There is some research to suggest that the combination of NADH and glutathione may also be useful for those with Parkinsons. Defer to your own doctor as always. NAC is a form of cysteine that may help increase glutathione levels and is used to treat acetaminophen (Tylenol) toxicity. I prefer to only use NAC in low doses as in higher amounts it may cause excitotoxicity. NAC can convert to cysteine and high levels of cysteine may put pressure on the need for extra molybdenum and B12 as this extra cysteine is then processed via SUOX in the later part of the transulfuration pathway. NAC has been reported to be useful for issues with the lungs and congestion in the lungs, this may be related to its ability to increase GSH as glutathione has also been reported to have a positive impact on the lungs and has even been used in cases of cystic fibrosis by some individuals. The use of Respiratory nucleotide blend is another option to consider. Both neem and tea tree oil have natural antimicrobial properties Neem has been used for years as a natural means to clean teeth, for healthy gums and for skin issues. Those who want a natural antimicrobial for oral hygiene can use this as toothpaste and combine it with the use of oral forms of xylitol to aid in balancing other non-ideal organisms in the mouth that may cause ear infections. NaturoMycin spray can be combined with the use of tea tree and neem toothpaste for a more comprehensive herbal combination that has antimicrobial activity. Natural herbs can be used to help limit growth of undesired organisms, along with probiotics and supplements that address biofilms. Consider the use of BOTH NaturoMycin spray and NaturoMycin capsules because they contain different herbs that work together for optimal results. My prior research on antibiotic resistance helped me to reach the conclusion that the use of a number of herbs, with different means of addressing bacteria, used simultaneously at low doses was preferable to using a single herb at a higher dose. The goal is to affect the bacteria in a number of different ways at the same time, limiting their ability to combat just a single herb. For this reason both NaturoMycin capsules and spray contain a range of herbs. The herbs in each are related but not identical and that is why I suggest using both the spray and capsules together. NaturoMycin capsules are a source of the following: berberine, myrrh, bay leaf, cranberry, neem, Oregon grape, elderberry, olive leaf, oregano, black walnut, juniper berry, garlic, uva ursi, wormwood and pumpkin. Berberine may help to support healthy bile levels as well as having antimicrobial properties. NaturoMycin spray is a source of: echinacea, cranberry, elderberry, lomantium, dandelion root, skullcap, and goldenseal. In addition, if biofilms or chronic bacterial issues are concerns, then you can consider the use of Bactisolve with their own doctor as part of a more complete antimicrobial program. The combination of EDTA and chitosan found in Bactisolve has been reported to help weaken the protective layers surrounding bacteria, making them more susceptible to antimicrobial agents. (Where BactiSolve does contain EDTA it may cause detox so this consideration should be kept in mind.) Since I feel that low doses of multiple herbs and supplements to limit bacterial resistance is the ideal approach, I like to use NaturoMycin, GSE and Seasonal Support along with Bactisolve for those with chronic bacterial imbalances on CSA/GM tests. Remember that chitosan is derived from the shells of shellfish and for this reason it should be used with caution or avoided by those with shellfish allergies. Natural herbs can be used to help limit growth of undesired organisms, along with probiotics and supplements that address biofilms. Consider the use of BOTH NaturoMycin spray and NaturoMycin capsules because they contain different herbs that work together for optimal results. My prior research on antibiotic resistance helped me to reach the conclusion that the use of a number of herbs, with different means of addressing bacteria, used simultaneously at low doses was preferable to using a single herb at a higher dose. The goal is to affect the bacteria in a number of different ways at the same time, limiting their ability to combat just a single herb. For this reason both NaturoMycin capsules and spray contain a range of herbs. The herbs in each are related but not identical and that is why I suggest using both the spray and capsules together. NaturoMycin spray is a source of: echinacea, cranberry, elderberry, lomantium, dandelion root, skullcap, and goldenseal. NaturoMycin capsules are a source of the following: berberine, myrrh, bay leaf, cranberry, neem, Oregon grape, elderberry, olive leaf, oregano, black walnut, juniper berry, garlic, uva ursi, wormwood and pumpkin. Berberine may help to support healthy bile levels as well as having antimicrobial properties. In addition, if biofilms or chronic bacterial issues are concerns, then you can consider the use of Bactisolve with their own doctor as part of a more complete antimicrobial program. The combination of EDTA and chitosan found in Bactisolve has been reported to help weaken the protective layers surrounding bacteria, making them more susceptible to antimicrobial agents. (Where BactiSolve does contain EDTA it may cause detox so this consideration should be kept in mind.) Since I feel that low doses of multiple herbs and supplements to limit bacterial resistance is the ideal approach, I like to use NaturoMycin, GSE and Seasonal Support along with Bactisolve for those with chronic bacterial imbalances on CSA/GM tests. Remember that chitosan is derived from the shells of shellfish and for this reason it should be used with caution or avoided by those with shellfish allergies. Neem can be helpful for oral hygiene as well as an aid for dry irritated skin. In addition neem is reported to be one of the few compounds that can help limit the growth of Prevotella. Prevotella is a bacteria found in the GI tract that produces hydrogen sulphide. Hydrogen sulphide inhibits mitochondrial function directly. So a positive hydrogen sulphide urine test shows there is a severe gut dysbiosis that may be due to overgrowth of Prevotella. Hydrogen sulphide is known to inhibit mitochondria and block the oxygen carrying capacity of hemoglobin. It also greatly increases the toxicity of heavy metals by enhancing their absorption. There does not appear to be an antibiotic that Prevotella is sensitive to, but apparently it can be reduced by taking bile salts such as ursodeoxycholic acid or low dose ACAT/BHMT capsules. Prevotella is reported to be sensitive to neem. Neem has been assumed to work by making microbes less sticky so they do not stick to the lining of the gut. When my girls were younger they would use neem lotion daily for dry skin. Neem can be helpful for oral hygiene as well as an aid for dry irritated skin. It can be considered for those with Rosacea or psoriasis as part of a more complete program to address these skin conditions. Neem can be helpful for oral hygiene as well as an aid for dry irritated skin. It can be considered for those with Rosacea or psoriasis as part of a more complete program to address these skin conditions. Both neem and tea tree oil have natural antimicrobial properties. Neem has been used for years as a natural means to clean teeth, for healthy gums and for skin issues. Those who want a natural antimicrobial for oral hygiene can use this as toothpaste and combine it with the use of oral forms of xylitol to aid in balancing other non-ideal organisms in the mouth that may cause ear infections. NaturoMycin spray can be combined with the use of tea tree and neem toothpaste for a more comprehensive herbal combination that has antimicrobial activity. Nettle can help to inhibit the inflammatory mediator TNF alpha. Also the root may be a help for the prostate (and is included in the Saw Palmetto Plus formula). Nettle lessens the action of the male androgens so it may be a help for acne. Nettle is in part of the combination of herbs included in Inflammatory Pathway capsules as this compound contains herbs to help address three primary inflammation pathways: aiding with TNF alpha, NF Kappa B and LO (lipoxygenase) through the use of curcumin, boswellia and nettle. Niacinamide, NADH and niacin are all different forms of vitamin B3. While NADH is a compound that I like to use along with GSH and to support mitochondria, niacinamide can be used for other reasons. Niacinamide has been reported to have some antibiotic activity, particularly against difficult to eradicate organisms such as TB. Deficiency of niacinamide can increase the breakdown of tryptophan which can decrease serotonin levels. This increased breakdown of tryptophan can have a negative effect on the T cells of the immune system. I suggest Ultimate B Complex as a source of niacinamide and if chronic bacterial issues are present or low serotonin and tryptophan also consider some additional niacinamide support. Niacinamide may also be a help for cells of the pancreas. Niacinamide and PABA may also be considered to help support individuals who have issues with autoimmune thyroid conditions. Niacin is yet another form of B3 and this particular form has been reported to be helpful for the heart. Some sources of niacin can cause flushing of the skin, however no flush niacin should not have this as an issue. Ultimate B Complex includes several forms of B3 including niacin, niacinamide as well as NADH. I choose to use only Lactobacillus and Bifidobacterium as sources of probiotics for my program. There are several different strains of Lactobacillus that I like to use, based in part on studies showing that specific strains are able to limit the growth of certain non-ideal organisms such as H.pylori. NutriClean includes six strains of Lactobacillus that I prefer to use as well as two strains of Bifidobacterium that have been shown to limit non-ideal organisms. This is one of the key probiotics that I suggest using in a rotation to support healthy normal flora. For a complete chart and listing of the probiotics I suggest and why, please see the separate Probiotic listing. This includes a more complete explanation of probiotic options and the rationale behind my choices for probiotic support. Olive leaf has been reported to break a hole into the cell wall of the bacteria allowing the contents to leak out and be destroyed. This would suggest that using other antimicrobial herbs such as the combination in NaturoMycin capsules (which DOES already include olive leaf in a lower dose) as well as adding GSE or Caprylic to the use of olive leaf would have the combined impact of weakening the bacterial wall as well as addressing the organism itself. The ability to poke holes in the bacterial cell wall is similar to the impact reported for the combination of EDTA and Chitosan (this combination is found in BactiSolve). So it is worth considering (consult with your own doctor as always), the use of olive leaf along with BactiSolve and as tolerated NaturoMycin, GSE and extra Caprylic depending on the nature of the bacterial issues you and your doctor are addressing. Aside from its role as an antimicrobial agent, olive leaf has also been studied for its impact on lowering ‘bad’ cholesterol, helping to balance high blood pressure, as a preventative for cancer, protect against oxidative damage, and help guard against cognitive decline. Omega fatty acids have a range of positive health benefits that span helping with cognitive issues as well as supporting the cardiovascular system. This particular source of omega fatty acids is close to what I consider the optimal balance of 3, 6, 9. I prefer the use of DHA (neuromins) along with this omega 3, 6, 9 to achieve the ratio of fatty acids I like to see. Oregano is reported to have strong antimicrobial properties and that is why it is a part of the NaturoMycin capsule that includes a wide range of herbs with antimicrobial properties. When additional oregano is needed to help to address an organism, or for those who cannot use a compounded mixture of herbs such as NaturoMycin, the use of OregaMax can be considered. It can be used in conjunction with NaturoMycin as well as GSE, BactiSolve, Caprylic and Olive Leaf as needed. Similar to Goldenseal, the herb Oregon Grape is high in beberine. This is one of my favorite constituents of herbs. Berberine is a wonderful antimicrobial which is why it is included in NaturoMycin as well as Seasonal Support (Which I suggest taking during the cold and flu season). Berberine may also be useful in stimulating verbal language as well as helping to support healthy levels of bile in the system for digestion. Oregon Grape works well when used along with Goldenseal or in the combination of herbs found in NaturoMycin. Oscillococcinum is a homeopathic remedy with a long history of use in addressing influenza. I have used this for my own children for the flu along with Elderberry, Echinacea and Goldenseal. Because I routinely used that combination of herbs for so many years with her my children, I finally had them compounded in the capsule called Seasonal Support. The use of Oscillococcinum along with Seasonal Support is a powerful combination to aid in addressing issues during the cold and flu season. As always defer to your own doctor when you suspect you may have the flu. PABA is a B vitamin and is included in the B complex that I custom designed called Ultimate B Complex. For most, the amount of PABA in Ultimate B Complex is sufficient. However, in specialized cases the use of extra PABA can be considered, particularly for those with autoimmune thyroid conditions. Some literature suggests that PABA may be a help for autoimmune thyroid conditions and in fact I have found it to have a positive impact in this situation. As always, if thyroid conditions are suspected defer to your own doctor. The use of PABA may also be a help in cases of vitiligo. Ginkgo may also be a help in these cases. As my father reached his 80’s he suffered from weak legs and tingling in his extremities as well as loss of hearing. The use of Padma Basic along with Ginkgo were central in helping to offset these health issues for him. I continue to suggest the use of Padma and Ginkgo for those with weak legs, restless leg and limited circulation in extremities. As always please defer to your own doctor with any circulation issues. The pancreas is a critical organ for blood sugar regulation as well as for proper bile balance for digestion. When CSA and GPPP tests indicate a need for more pancreatic enzyme support then the use of a pancreatic glandular extract along with SDE (which are high in pancreatin) and the VDR/FOK capsules (which includes herbs to support the pancreas as well as low dose pancreatic glandular extract) can be considered. Years ago, pancreatic extracts were used as a source of secretin that was reported to aid in verbal language in a number of autistic individuals. Since that time highly purified secretin has not shown the same effect. I believe it is possible that other minor compounds in the total pancreatic extract may have been partially responsible for the results ascribed to secretin. For this reason I suggest considering pancreatic glandular extract for those looking to possibly enhance verbal language/communication. Pantothenic acid is a B vitamin and is included in the B complex I custom designed called Ultimate B Complex. For most, the amount of pantothenic acid in the Ultimate B Complex is sufficient. However, in specialized cases the use of extra pantothenic acid can be considered. When the levels of lactic acid and pyruvic are high on a MAP or Organix test, it suggests issues converting these compounds into the mitochondrial energy cycle (Krebs or Citric acid cycle). In these cases the use of extra pantothenic acid may be helpful. In addition, it has been reported that pantothenic acid may be a help for gout, burning feet, some autoimmune conditions, to decrease uric acid (which is related to the ability to aid with gout) and may also help to decrease triglycerides. Those who have problems with “burning feet”, in other words the bottom of their feet feel like they are burning or in pain may find that pantothenic acid helps to relieve this feeling. Papaya enzymes are a gentle way to add digestive enzymes to help process foods and limit flatulence. However, I prefer the use of SDE for all (due to the high level of pancreatin in SDE) as well as SerenAid for those who are AHCY +, and ACAT/BHMT capsules to help with digestion for those who are ACAT +. In addition, I suggest the use of Biotin and Adenosyl B12 for those with issues of fatty acid digestion. However, papaya is a mild way to add extra enzymatic support and a great place to start with enzymes for those who are sensitive to supplements and may want to move more slowly and gradually in terms of layering in enzymatic support. Paradex is a natural approach to addressing parasites. It includes a range of ingredients reported to help with parasites, including black walnut, wormwood (otherwise known as artemesia), Pau d’ arco, garlic and pumpkin. Paradex can be combined with the use of NaturoMycin (which also includes black walnut, wormwood/artemesia), and Caprylic Plus along with extra Pau d’ arco, Garlic and Pumpkin. Passion flower is both a calming herb as well as a help to balance hormone levels. Aiding in keeping healthier forms of hormones in both men and women; this may help with weight balance as we age. Passion flower can be combined with other herbs to help with hormones or menopause as well as with other calming herbs or herb combinations. Passion flower has also been reported to help with insomnia. This herb is often suggested for use by those working in alternative approaches to cancer and tumors. In addition Pau d’Arco is reported to have activity against parasites, bacteria, viruses and fungi. I only like to use low doses of Pau d’Arco as I do not like higher doses of this supplement to be used as I feel that higher doses may be non ideal for the liver. I believe in starting with short cut support for the methylation cycle, and a key component of that is a source of PS/PE/PC/PE. One option to supply higher doses of PS/PE/PC/PI is the Phosphatidyl Serine Complex. A lower dose in a chewable format that is easy to use in young children or those who cannot swallow pills is the Pedi-Active tablet. This is also a good starting point for short cut support for those adults who cannot tolerate the higher dose of PS/PE/PC/PI in the gelcapsules until later in the program. I used a source of PS/PE/PC/PI for all of my daughters since they were in grade school and I feel strongly that this supplements was a huge help for their academic success. Support with Pedi-Active may also be a help for those with concerns about ADD/ADHD. The source of phospholipids in Pedi-Active as well as the Phosphatidyl Serine complex is soy. There are other options for a soy free source of phospholipids, but these two products, Pedi-Active and Phosphatidyl Serine complex (what I call PS/PE/PC) are my preferred sources for support as long as soy is tolerated. This combination of supplements and herbs includes a large range of compounds reported to help limit the growth of H.pylori, Clostridia and some strains of E.coli. Included in PeptiMycin are ingredients that according to research studies may limit the growth of H.pylori, such as oregano and cranberry along with curcumin and broccoli may limit its colonization. Terminalia and bismuth are reported to also inhibit H.pylori. When constant reflux is an issue, the use of PeptiMycin can be considered with HELX Nucleotide Blend and Buffer pH or Stomach pH Nucleotide Blend. In addition the use of the probiotics Lactobacillus rhamnosus and johnsonni and retueri and Bifidobacter bifidum may be helpful in addressing H.pylori. I suggest rotating the use of PeptiMycin as needed. I suggest a CSA and long with a GPPP test to look for microbial imbalances including H.pylori. As with any significant gut imbalances please defer to your doctor. B12 support is critical for long route methylation cycle function. Based on my research it is highly suggested that a HE test be run (or blood work) to be sure lithium is in balance prior to adding high doses of B12. In addition to the role of lithium in B12 transport, it is also important to look at a source of intrinsic factor (i.e. All in One, MitoForce, ACAT/BHMT capsules) and ATP to aid in B12 transport. There are three major types of B12 used for this program: hydroxyl, adenosyl and methyl B12. Hydroxy B12 is the form suggested for all, regardless of nutrigenomic COMT status and can be gradually increased as tolerated, again carefully watching lithium levels on tests and also supporting with a source of ATP and intrinsic factor. Hydroxy B12 is available in a variety of formats including the Hydroxy B12 Mega Drops, Get B12 spray, the Black Bear Energy spray and drink as well as the Perque chewable lozenges. This is a soy derived source of only phosphatidyl choline (PC). Lecithin can also be used as a source of PC. I highly prefer the use of a mix of PS/PE/PC/PI but I do understand that some individuals are using protocols that choose to use only PC or higher doses of PC. I believe in starting with short cut support for the methylation cycle, and a key component of that is a source of PS/PE/PC/PE. One option to supply higher doses of PS/PE/PC/PI is the phosphatidyl serine complex. A lower dose in a chewable format that is easy to use in young children or those who cannot swallow pills is the Pedi-Active tablet. This is also a good starting point for short cut support for those adults who cannot tolerate the higher dose of PS/PE/PC/PI in the gelcapsules until later in the program. I used a source of PS/PE/PC/PI for all of my daughters since they were in grade school and feel strongly that this supplement was a huge help in their achieving academic success. Support with PS/PE/PC may also be a help for those with concerns about ADD/ADHD and attention. The source of phospholipids in Pedi-Active as well as the Phosphatidyl Serine complex is soy. There are other options for a soy free source of phospholipids but these two products, Pedi-Active and Phosphatidyl Serine complex (what I call PS/PE/PC) are my preferred sources for support as long as soy is tolerated. This is a soy free alternative to PS/PE/PC or Pedi-Active. This soy free alternative contains both phosphatidyl serine as well as phosphatidyl ethanolamine (so PS and PE) but is lacking in PC or PI. For this reason I prefer the use of Phosphatidyl Serine Complex or Pedi-Active when a soy based product can be used. Placenta organ glandular is a source of a range of nutrients that I feel may contribute to new cell growth, particularly to help support the nervous system. Placental extract has been shown to have a positive impact on stress and cortisol levels. The use of placenta glandular extract may also be useful for anti-aging supplement regimes and for basic amino acid support. I like the use of policosanol to help with membrane fluidity and for its possible role in this regard to help in cases of ALS or other neurological conditions that would benefit from greater membrane fluidity. In addition, policosanol has been reported to help lower unhealthy ‘bad’ LDL cholesterol and increase HDL which may be beneficial in achieving a healthier balance of cholesterol in the body. I prefer that potassium levels are higher than sodium on a UTEE or a HE test. Potassium plays a role in energy systems and is a critical supplement in the body for the heart, muscle and energetics. For this reason, I like to have a range of options for potassium support so that individuals can tailor their choice of potassium to other needs in the body or to use a range of types of potassium to ensure optimal levels. When supporting with lithium, I feel that it is very important to also add potassium as well as ATP and/or MitoForce to help balance levels of both lithium and potassium. In addition, those taking birth control pills tend to be low in potassium. Lack of potassium can lead to depletion of rubidium and that may trigger aggression. For this reason I like to suggest potassium support as well as regular HE and UTEE testing for females on birth control. Potassium drops are a source of potassium combined with phosphate. When phosphate levels are low this is a good choice for support. Potassium phosphate drops can be used in conjunction with ATP, Riboflavin 5’-Phosphate and MitoForce to support phosphate levels along with potassium phosphate since it is needed to help with energy and ATP, which aids in transport of a large range of nutrients into the body. The potassium drops are a liquid so they include preservatives. Some have trouble with these particular preservatives in which case the potassium tablets can be considered as they are a source of potassium phosphate as well, but the tablets also include calcium. If calcium levels are too high and the desire is to add a source of potassium that also includes phosphate then the drops are the better choice. However, if calcium levels are in the lower range of normal and the desire is to support both potassium and phosphate then the potassium tablets would be the better choice. Potassium tablets are a source of potassium combined with phosphate. When phosphate levels are low this is a good choice for support. These potassium/ calcium diphosphate tablets can be used in conjunction with ATP and Riboflavin 5’-Phosphate and MitoForce to support phosphate levels while simultaneously supporting potassium. Both potassium and phosphate are needed to help with energy and phosphate also helps with ATP which aids in transport of a large range of nutrients into the body. Potassium phosphate is also found in the potassium drops, which are a liquid and so they include preservatives. Some have trouble with these particular preservatives in which can the Potassium tablets can be considered as they are a source of potassium phosphate as well, but the tablets also include calcium. If calcium levels are too high, and the desire is to add a source of potassium that also includes phosphate, then the drops are the better choice. However, if calcium levels are in the lower range of normal and the desire is to support both potassium and phosphate then the potassium tablets would be the better choice. I do NOT use supplements that are chelated with a complete array of amino acids, as those ‘amino acid chelates’ can include glutamate. While THIS Potassium tablet is an ‘amino acid complex’ the ONLY amino acid that potassium is complexed with is glycine. Those who are SHMT + should avoid extra glycine in my opinion, or those with higher glycine on a UAA. So this would not be the ideal choice for potassium if you need to limit extra glycine support. On the other hand if glycine levels are low, this might be a preferred source of potassium. In general, in terms of potassium, I like to see potassium levels that are higher than sodium on a UTEE or a HE test. Potassium plays a role in energy systems and is a critical supplement in the body for the heart, muscle and energetics. For this reason I like to a have a range of options for potassium support so that individuals can tailor their choice of potassium to other needs in the body or to use a range of types of potassium to ensure optimal levels. When supporting with lithium, I feel that it is very important to also add potassium as well as ATP and/or MitoForce to help balance levels of both lithium and potassium. In addition, those taking birth control pills tend to be low in potassium. Lack of potassium can lead to depletion of rubidium and that may trigger aggression. For this reason I like to suggest potassium support as well as regular HE and UTEE testing for females on birth control. Potassium bicarbonate is a source of potassium as well as the bicarbonate compound. The bicarbonate can help to increase the pH when levels are too low as noted on a CSA or in urine. For that reason, this potassium bicarbonate combination may help with migraines as low pH can be a factor in migraines. Low pH can also be a factor in aggression so check gut pH for those with aggression. Where low lithium and low potassium also can play a role in aggression, this combination of both potassium and bicarbonate may be useful for cases of aggression when potassium needs support and when the pH is low. I caution that you do want to consider the use of any bicarbonate supplement (either sodium bicarb, magnesium bicarb or potassium bicarb) with your own doctor as you do not want to use bicarbonate if it is not needed by the body. I prefer that potassium levels are higher than sodium on a UTEE or a HE test. Potassium plays a role in energy systems and is a critical supplement in the body for the heart, muscle and energetics. For this reason I like to have a range of options for potassium support so that individuals can tailor their choice of potassium to other needs in the body or to use a range of types of potassium to ensure optimal levels. When supporting with lithium, I feel that it is very important to also add potassium as well as ATP and/or MitoForce to help balance levels of both lithium and potassium. In addition, those taking birth control pills tend to be low in potassium. Lack of potassium can lead to depletion of rubidium and that may trigger aggression. For this reason I like to suggest potassium support as well as regular HE and UTEE testing for females on birth control. Potassium citrate is well absorbed and may be a support of choice when a urine amino acid test simultaneously shows high levels of dibasic amino acids such as high levels of cysteine, ornithine, lysine and arginine. Studies suggest that citrate and ascorbate (also called citric acid, ascorbic acid and forms of vitamin C) help to transport nutrients across the blood brain barrier. For this reason I often choose minerals in the citrate form (i.e. potassium citrate or magnesium citrate) as the initial form of mineral support and then adjust to add additional forms of the mineral based on other health considerations. (See the descriptions for potassium phosphate drops or tablets or potassium bicarbonate, potassium krebs or potassium iodide for the reasons to consider adding those additional forms of potassium support.) I prefer that potassium levels are higher than sodium on a UTEE or a HE test. Potassium plays a role in energy systems and is a critical supplement in the body for the heart, muscles and energetics. For this reason I like to a have a range of options for potassium support so that individuals can tailor their choice of potassium to other needs in the body or to use a range of types of potassium to ensure optimal levels. When supporting with lithium, I feel that it is very important to also add potassium as well as ATP and/or MitoForce to help balance levels of both lithium and potassium. In addition, those taking birth control pills tend to be low in potassium. Lack of potassium can lead to depletion of rubidium and that may trigger aggression. For this reason I like to suggest potassium support as well as regular HE and UTEE testing for females on birth control. I prefer that magnesium is higher than calcium in the system and that potassium is higher than sodium in the system. These levels can be assessed by looking at HE tests as well as UTEE tests. When extra magnesium or potassium is needed Krebs Magnesium/Potassium can be considered as a source of support. This is especially useful when the Krebs cycle (otherwise known as Citric Acid cycle) intermediates are too low on a MAP or an Organix test. When the body has a particularly high burden of thallium or aluminum those metals can negatively affect the Krebs cycle and that may be another circumstance where Krebs minerals such as Krebs Magnesium/Potassium or Krebs Zinc should be considered for support. In addition, those taking birth control pills tend to be low in potassium. Lack of potassium can lead to depletion of rubidium and that may trigger aggression. For this reason I like to suggest potassium support as well as regular HE and UTEE testing for females on birth control. Potassium iodide helps to support both potassium as well as iodine. Those who show low iodine (or excessive iodine excretion) on a HE test or low iodine on a urine iodine test can consider this form of potassium to support both minerals. In addition when iodine excretion is extremely high on a HE test, then I suggest running a urine iodine test to be sure excretion is not leading to depletion. Potassium iodide is often used to help protect against exposure to radioactive iodine which can cause damage to the thyroid. Those who have been exposed to radiation can consider this form of potassium support along with those needing iodine support. Pregnenolone feeds into the pathway to produce hormones including estrogens, testosterone and androgens. It may also be a help for those who have low cortisol due to adrenal fatigue (along with adrenal and placenta glandular supports). Pregnenolone is a more general way to support both male and female hormones than the more specific use of progesterone, estrogen or testosterone gels. The use of Saw Palmetto and Passion Flower or Prostanex along with pregnenolone may help to keep hormones as testosterone or estrogen as needed by the body. Pregnenolone sits at the step AFTER cholesterol on the pathway to these hormones. Those who have low cholesterol and have considered using the protocol that adds cholesterol (I am NOT a fan of this) may want to consider pregnenolone instead. Also those adults with high cholesterol but low hormones may want to consider pregnenolone to help produce hormones as it may be that the route from cholesterol through pregnenolone is compromised in those cases. Those same adults (with high cholesterol and low hormones) may want to consider natural and medical approaches to balancing their cholesterol as well as Policosanol for a better LDL to HDL ratio and Pantothenic if needed with fish oil for triglycerides. ANY time supports are used to lower cholesterol (natural or medical approaches) please use a source of CoQ10 along with it. Defer to your own doctor with any hormone supports. DEFER to your own doctor for pregnancy advice. What I have suggested for family and personal friends when pregnant is to consider one Perfect Prenatal daily along with one All in One and one DHA daily. This has worked well for these personal situations, but again please DEFER to your own OB/GYN for supplement advice during pregnancy. This product is a source of a protein that can bind excess calcium and may help reduce health issues related to excess calcium. Excess calcium works with glutamate to over excite nerves to death, otherwise known as excitotoxicity. Part of addressing this issue is balancing glutamate with a range of supplements including Pycnogenol, Grape Seed Extract, various forms of GABA, BeCalm Spray and the Nerve Calm Nucleotide Blend. The other half of the problem is addressed by working on excess calcium. The use of Prevagen, Vinpocetine, Zinc, Magnesium, ATP, and MitoForce can all help to address calcium excess via different means. The protein in prevagen, apoaequorin, is not only reported to directly bind excess calcium, it is also reported to be an aid in memory and brain function. It is not clear if this positive impact on brain function and memory is directly related to its ability to help with excess calcium. Since I like to rotate probiotics there is more than one option for chewable probiotics. Primadophilus is a source of two strains of Lactobacillus, L.rhamnosis and L.acidophilus. In addition Primadophilus includes a source of my other preferred probiotic strain, Bifidobacterium. Primadophilus is also a source of xylitol, which can be helpful in limiting non-ideal bacteria in the mouth that can contribute to dental issues or ear infections. Other chewable sources of probiotics are the Digestive Health chewable tablets and Gastrus chewable which include Lactobacillus reuteri, which has been reported to help lower the level of H.pylori as well as other non-ideal organisms in the gut. L.reutri may also help to increase oxytocin and appears to limit certain autistic behaviors in animal models of autism. This chewable form of Lactobacillus reuteri is ideal for those who cannot swallow capsules or tablets. In addition, this is a source of xylitol which has been reported to be useful for dental health and to help limit ear infections. Lactobacillus reuteri has also been reported to be particularly useful for female health and aiding in vaginal flora. For a complete chart and listing of the probiotics I suggest and why, please see the separate Probiotic listing. This includes a more complete explanation of probiotic options and the rationale behind my choices for probiotic support. This is a probiotic, or the natural bacteria that line your intestinal tract. It is important to repopulate your body with normal flora; this program chooses to use only Lactobacillus and Bifidobacterium for support of normal flora. Probiotic -5 is reported to be soy free and dairy free as a source of normal flora. For a complete chart and listing of the probiotics I suggest and why, please see the separate Probiotic listing. A topical route of administration of progesterone to help with hormone balance. This can be used in conjunction with BiEstro Cream for estrogen if both hormones are desired. There are a range of herbs that aid in hormone balance that can also be used as needed including Pregnenolone, Vitex, Natural Estrogen, Black Cohosh, Dong Quai and AM/PM Menopause tablets. Defer to your own doctor for help with hormone choices. Prostanex is a combination of a specific flower pollen extract reported to aid with prostate issues along with Saw palmetto, this may be particularly helpful when used in conjunction with Passion flower as well as Prostate Plus Nucleotide Blend. Histidine can be converted to histamine which is involved in allergic and inflammatory reactions. In addition histidine can be converted to glutamate. For these reasons I only suggest the use of low dose histidine when the levels of this amino acid are so low on a UAA that it would be important to add low dose support to maintain a normal level of this amino acid. I feel that pycnogenol is a critical supplement especially for those concerned about glutamate issues. Pycnogenol may help to offset excitotoxicity from glutamate as well as to help protect from oxidative damage, from beta amyloid (often an issue for Alzheimers), protection from traumatic brain injury as well as serving antiaging functions in terms of skin elasticity and collagen. The All In One general vitamin does include a source of pycnogenol but the use of additional support with pycnogenol capsules is something to consider if glutamate is a particular issue. Pyridoxal 5-phosphate (P5P) is the active form of vitamin B6. While I do believe in support for all B vitamins I choose to use a B complex such as Ultimate B Complex rather than using higher doses of individual B vitamins. The first reason for this choice, especially with respect to B6 or P5P is that this vitamin may increase the level of taurine for individuals who already have problems with excess taurine, such as those with bacterial issue or those who are CBS + or SUOX +. I believe in checking taurine levels on a UAA before adding extra B6 or P5P. Conversely, those who have low taurine levels and high homocysteine may want to consider extra B6 or P5P to help lower homocysteine. Again, the use of extra B6/P5P would be AFTER actually looking at levels on a UAA or blood sample, rather than adding extra B6 or P5P in the absence of hard data to suggest its use. The second reason not to use high doses of single B vitamins, unless truly needed, is that it creates issues with the levels of the other B vitamins in the body. According to Dr. Elson Haas, an expert in nutrition who has written the complete guide to diet and nutritional medicine, “One such problem with taking large amounts of a single B vitamin is that this may cause depletion of other B’s. Therefore, it is best to take a complete B complex supplement whenever taking any individual B vitamin regularly in higher amounts.” I suggest beginning B vitamin support with the use of Ultimate B Complex and then if data indicates a need for higher doses of individual B vitamins that those are added after a comprehensive B complex is already in place.